After a strong start to the season, Bromley and Beckenham Ladies 1s hit a dip in form against some tough opponents but bounced back to win 4-2 against City of Peterborough. They are training hard twice a week with the introduction of ‘Winning Wednesday’ by Coach Robinson fuelling the girls’ competitive spirits as they look to push their way back in to the top four. The 2s, 4s and 5s are also putting in the work behind the scenes and have strung together some solid performances – all sitting comfortably around mid-table in their respective leagues. Whilst the 3s are currently struggling a little in a league against many opponents’ 1st XIs, there is enough there to demonstrate that they can compete at this level and they look to continue to build on some hard fought draws. With just a handful of games left before the Christmas break, the ladies hope it will be a fruitful period across the board. Off the pitch then the fundraising and socials are steaming ahead with a Stars In Their Eyes night coming up on November 24 (all welcome – see social media for details) and the ever popular Christmas Party on December 8. 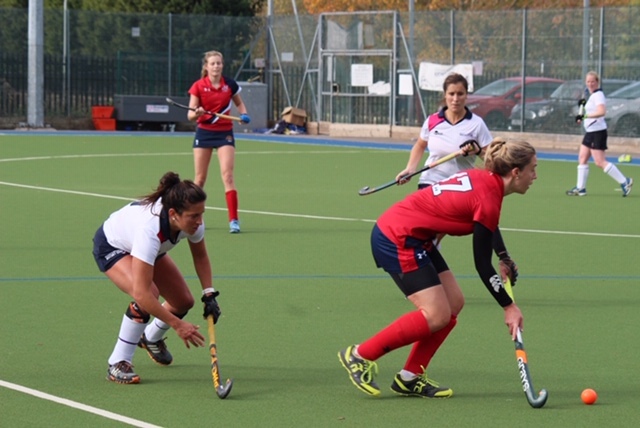 Be the first to comment on "BromBeck Hockey Club – Nov/Dec column"